If you had asked the typical UFC casual fan who Jorge Masvidal was a week ago, there is a good chance that they would not have been able to provide you with an answer. 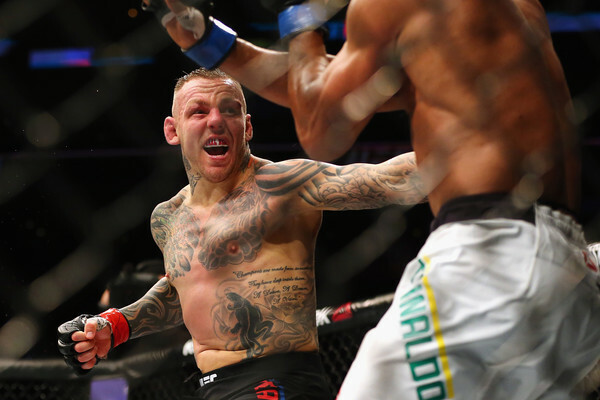 But thanks to his highlight-reel knockout of Darren Till at UFC Fight Night 147 on Saturday night, it is likely that sports fans around the globe now recognize the name. 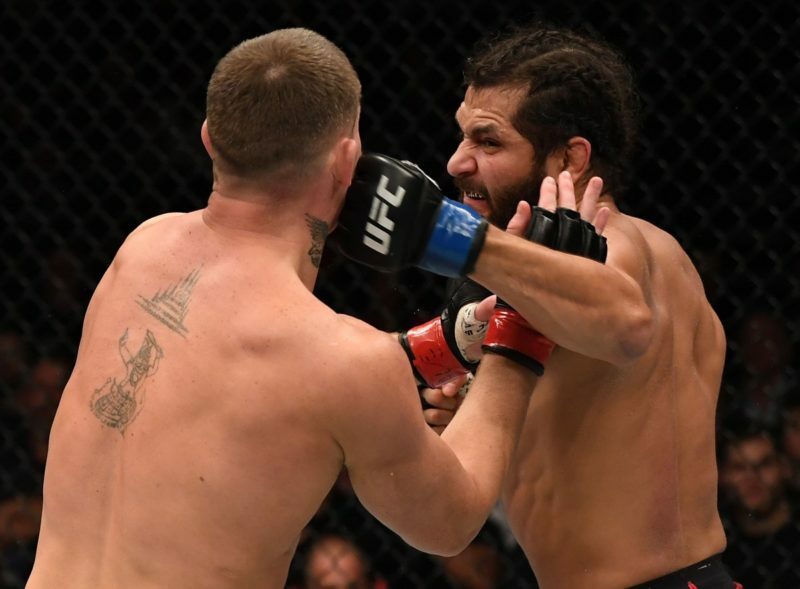 Jorge Masvidal has historically been one of the most underappreciated fighters on the UFC’s roster, but by using a well constructed and implemented gameplan he was able to change that by achieving one of the most spectacular knockouts of the year. 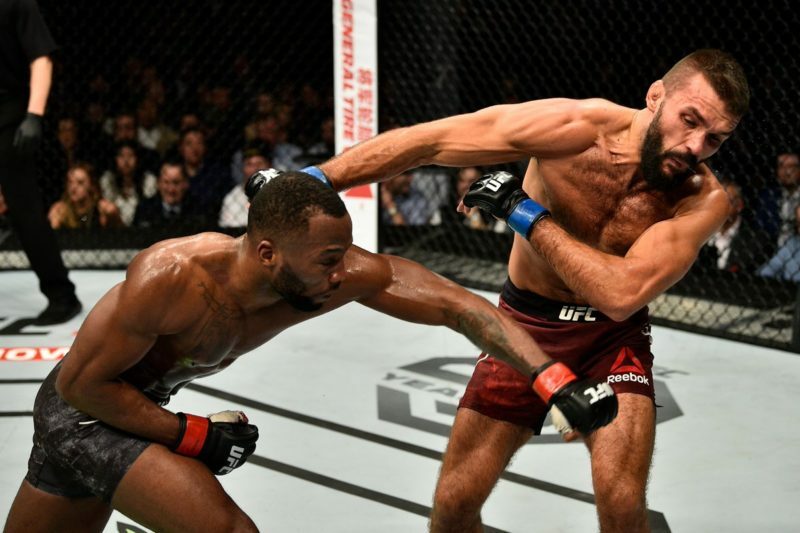 What made Jorge Masvidal’s knockout of Darren Till so impressive is that he was simultaneously able to neutralize Till’s primary offensive weapons while mounting his own offense. Till’s most dangerous weapon is his left straight, particularly when thrown from his standard southpaw stance. 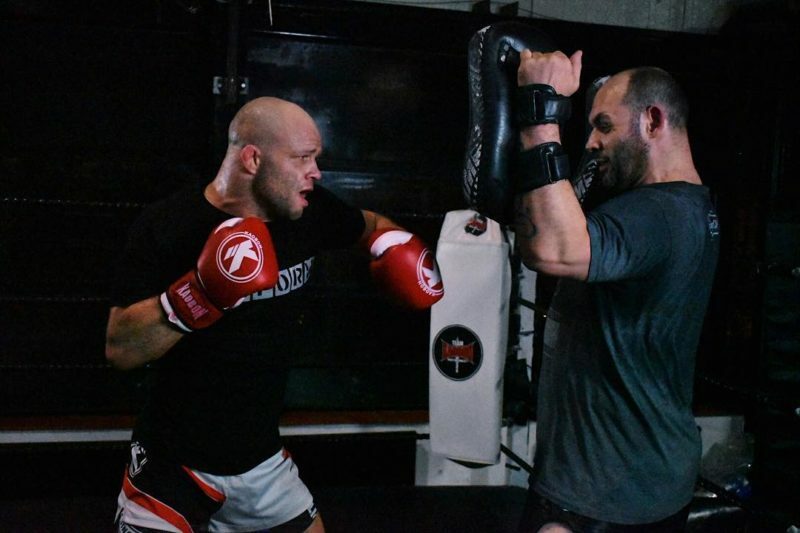 Being a southpaw provides unique advantages to a fighter, the most prominent being the advantage of practice time. Let’s say for the sake of this example, 10% of fighters are southpaw and 90% are orthodox. If both fighters spar ten six-minute rounds in their respective gym in preparation for their bout, the southpaw fighter would have likely spent 54 minutes sparring against orthodox fighters, while the orthodox fighter will have only spent six minutes sparring against a southpaw fighter. As a result of this natural southpaw-orthodox discrepancy, on fight night the southpaw fighter will have practiced for roughly 9x as much time (54/6) fighting against orthodox fighters as compared to the orthodox fighter practicing against southpaws, given all else being equal. While training camps can and do bring in a surplus of southpaw fighters for their orthodox fighters to train against, at the end of the day this natural discrepancy in time is still prevalent as the overwhelming majority of practice time for orthodox fighters has been against other orthodox fighters. One example of this phenomenon manifesting into tangible results is how Darren Till is very got at achieving dominant lead foot position, allowing him to land his lethal straight left. In a southpaw-orthodox match up, both fighters will want to get their lead foot (right foot for the southpaw, left foot for the orthodox) outside the lead foot of their opponent. Winning this battle will simultaneously move the opponent’s head directly into the path of fighter’s powerful rear hand while moving their own head off the centerline and away from the opponent’s rear hand. This obviously leads to an advantage, as the opponent is directly in the line of fire while the fighter has mitigated the danger of a counter. In this slowed down clip, notice how Darren Till is able to get his right foot outside of Masvidal’s left. 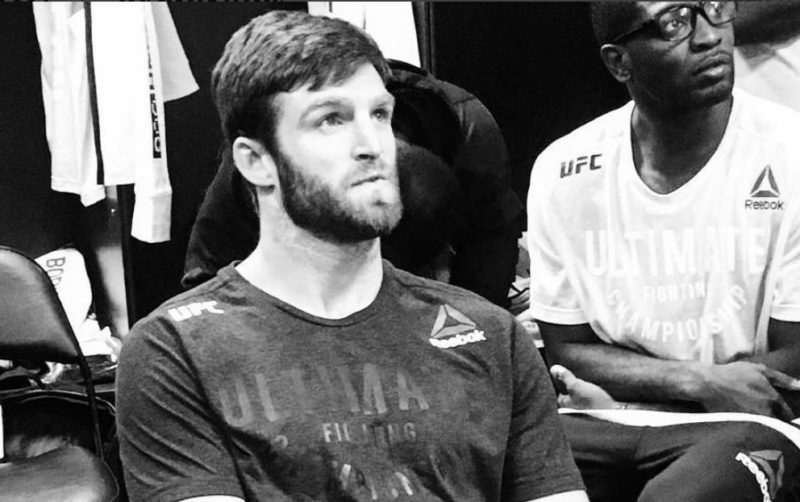 This creates a scenario where Masvidal’s head is directly in front of Till’s left hand. Till fires a straight left, snapping Masvidal’s head back. Although the camera angle prevents us from seeing the exact foot position, we can concur that this is the same tactic Till used to achieve a knockdown mere seconds into the first round. Notice how Till takes several small steps with his right leg in order to achieve the outside foot position, making his straight powerful and knocking Masvidal to the canvas. 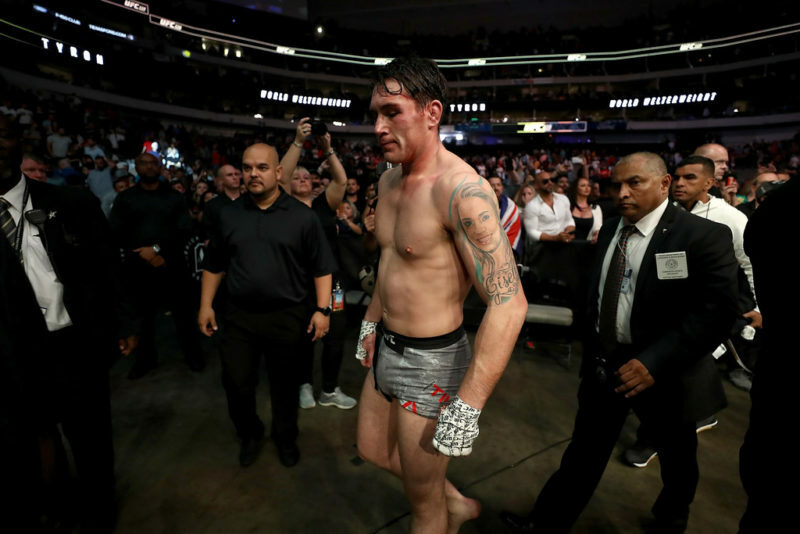 Achieving outside foot position and is a skill Darren Till has virtually mastered as a direct result of the “90%-10%” natural discrepancy between orthodox and southpaw fighters. 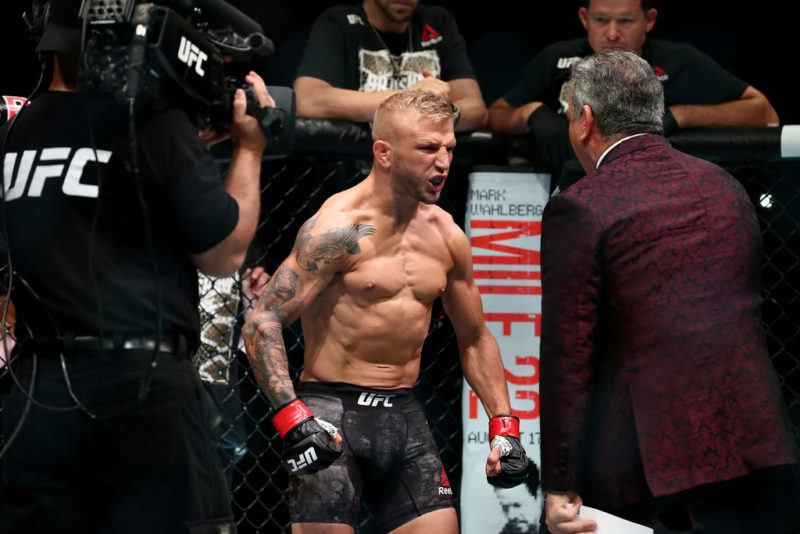 Masvidal was able to implement a solution to this predicament however that allowed him to simultaneously mitigate Till’s advantage while mounting an offense of his own. It is no coincidence that Masvidal’s most successful maneuvers in the bout came when he utilized the tactic of stance switching mid-combination. 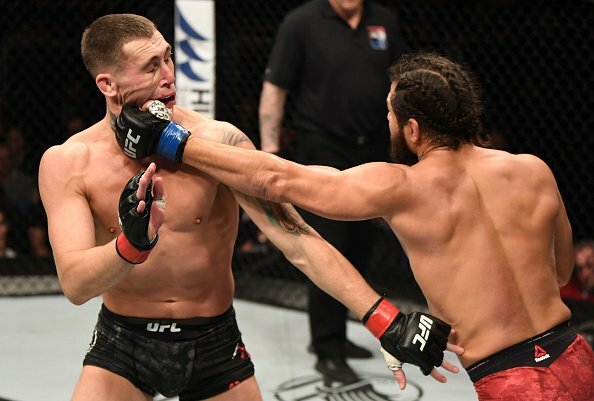 Here is an example of Masvidal employing the stance switch, as he throws a right jab, he then steps forward with his right foot while simultaneously throwing a right overhand. While the mid combo stance-switch is utilized frequently while striking, Masvidal also implemented it to land a takedown. In this clip below we see Masvidal step into a traditional single leg takedown which fails. Notice how much distance Masvidal is forced to cover, and how easily Till is able to defend. 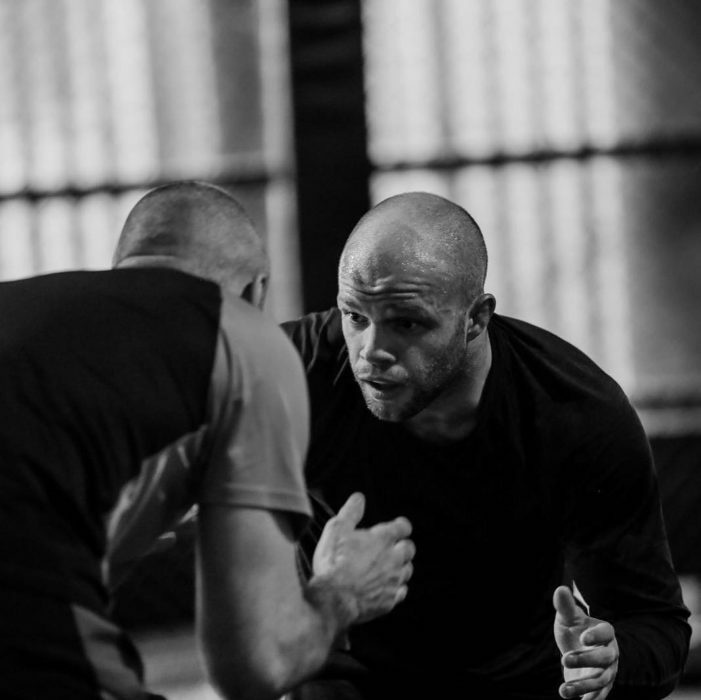 Because the southpaw-orthodox battle naturally creates a longer distance for the attacker to travel for a single leg takedown, it can be quite difficult to gain access to the opponent’s hips. Now compare that to this clip below where Masvidal starts in a traditional stance, throws an overhand right as he steps his right foot forward placing him in a southpaw stance, much closer to Till. From here it is an easy level change into the takedown which is ultimately successful. Although Masvidal’s takedowns weren’t what ultimately won him the fight, the mechanics of the mid combination stance switch work nicely for both wrestling and striking based attacks. Taking a slowed-down look at the finish, we can see that Masvidal utilized a stance switch in the middle of his combination. As he throws the right jab, Masvidal lunges forward with his left leg as he throws a left hook. The amount of distance he covered between the jab and the left hook catches Till off guard and sends him limp. From there Masvidal is face to face with the falling Englishman, and another short hook finishes him off. Here we can actually see Masvidal utilized this same combination in the first round, although he didn’t fully commit to the stance switch as he finished with his feet parallel and returns to an orthodox stance. Perhaps if he had fully committed to the stance switch in this instance he would have been able to throw a follow up left hook, and we’d be discussing a first-round KO. By bringing his back foot forward in the midst of his punches Masvidal was achieving several things at once. He was simultaneously rushing through his opponent’s slight reach advantage, covering the excessive distance created from the orthodox-southpaw dichotomy, making his head a moving target, and surprising his opponent. As we can see from the results, employing this tactic was a brilliant decision that provided Jorge Masvidal with a highlight reel knockout that is likely to play on SportsCenter all week long. Hopefully, such an achievement will provide Masvidal with a plethora of long overdue recognition from the UFC matchmakers and fan base.